When you need an electrician, don’t take chances, call Baltimore’s electrician of choice. 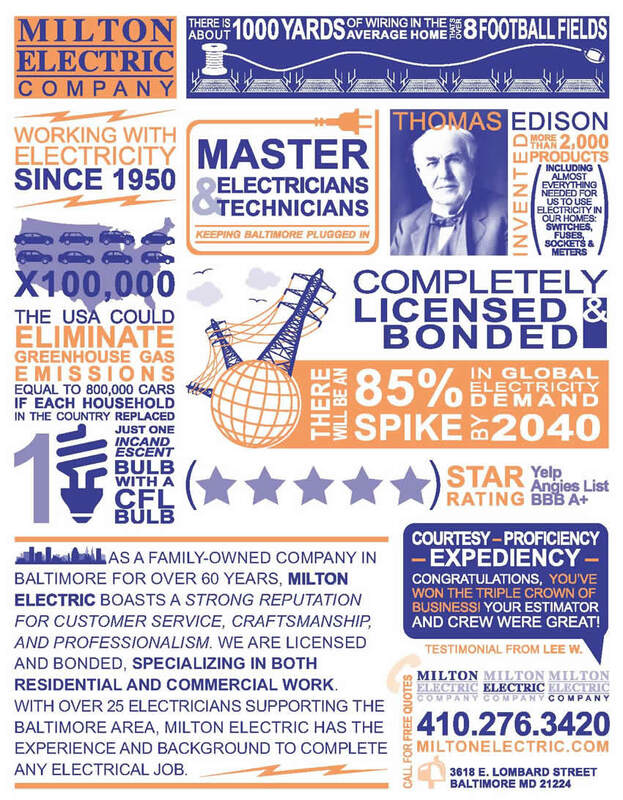 We have been helping keep Baltimore wired and safe since 1950, so our experience speaks for itself. Our electricians are professional and are here to help you with all your electrical needs. Thinking about adding additional lighting to your living room? Need help with replacing an outlet? Need your service upgraded? Milton Electric can help. Give us a call today for a free quote. We offer a full array of residential and commercial electrical services. Review the links below for more information.